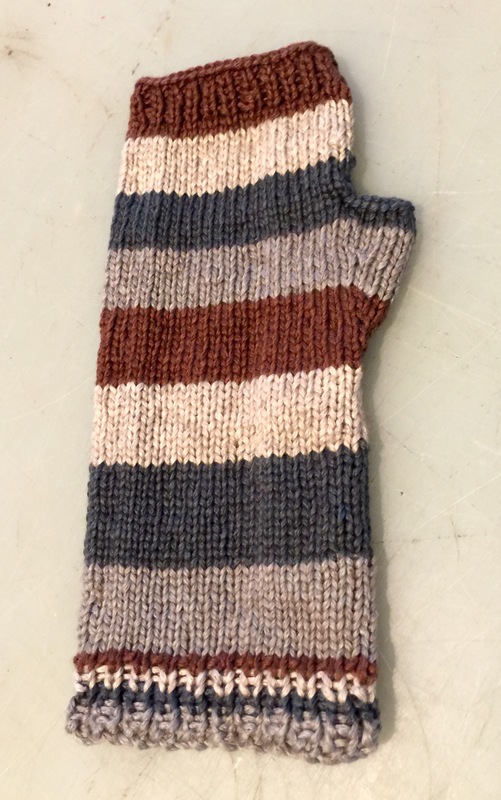 This mont h’s Big Beanie Bag project was a cowl in four yarns: Berroco Maya, Juniper Moon Farm Moonshine, Plymouth Mushishi, and HiKoo Kenzie. 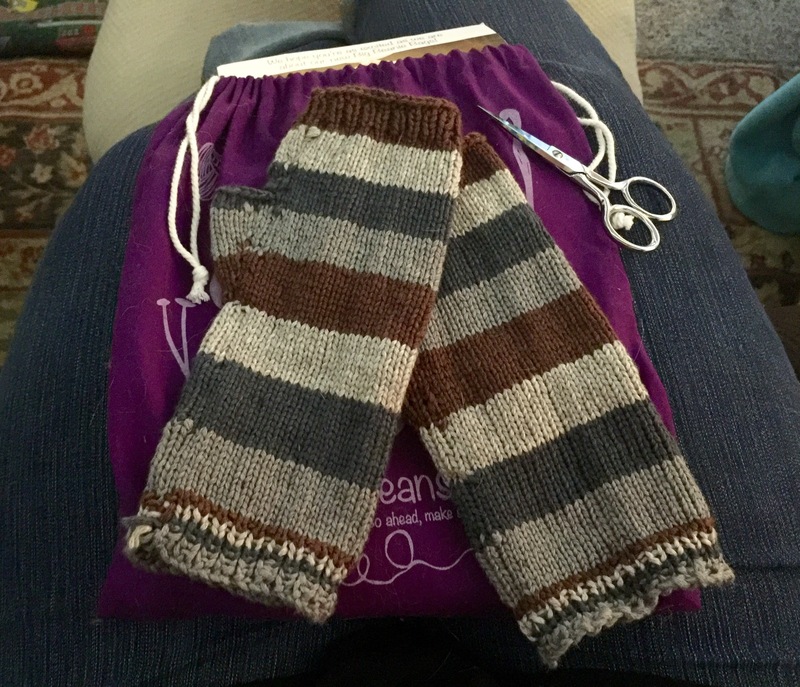 The pattern was a simple one, which was perfect given that the stripes were only each three rows thick. 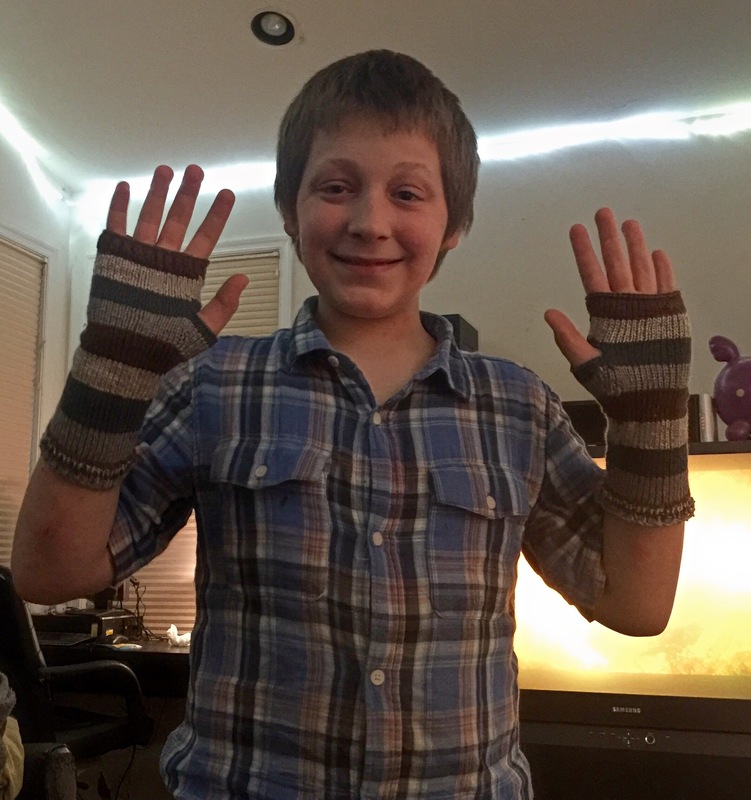 I finished the mitts from the May 2015 Jimmy Beans Wool Big Beanie Bag today – wove in the ends and gave them to my middle son, who put them on right away! 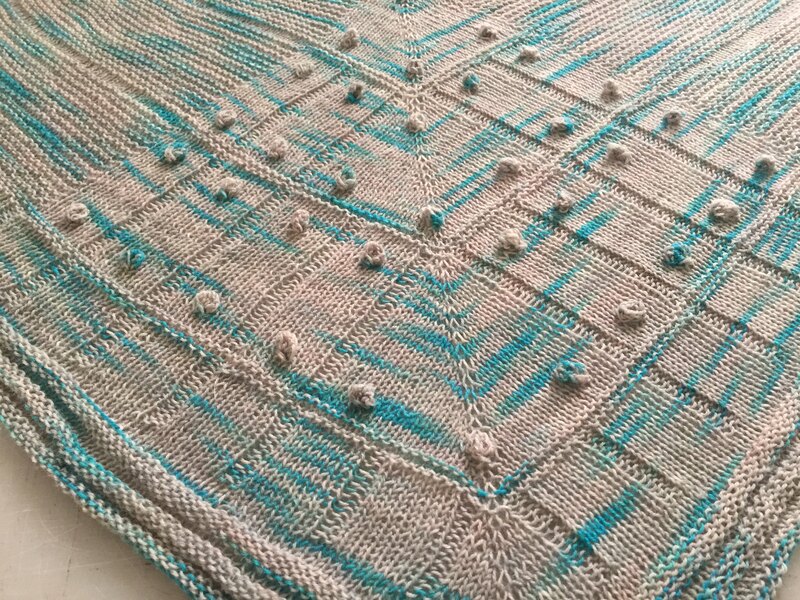 I need serious practice with color work. How do people stand all of this weaving in ends? How do they disguise the joins? I switched my subscription from Jimmy Beans Wool’s Beanie Bag to their Big Beanie Bag – a difference of $15 (Bb is $10 monthly, Bbb is $25) but a huge jump in contents. This month’s Big Beanie Bag included four 48-yard balls of Rowan Softyak DK, a chainette yarn composed of cotton, nylon, and yak down. 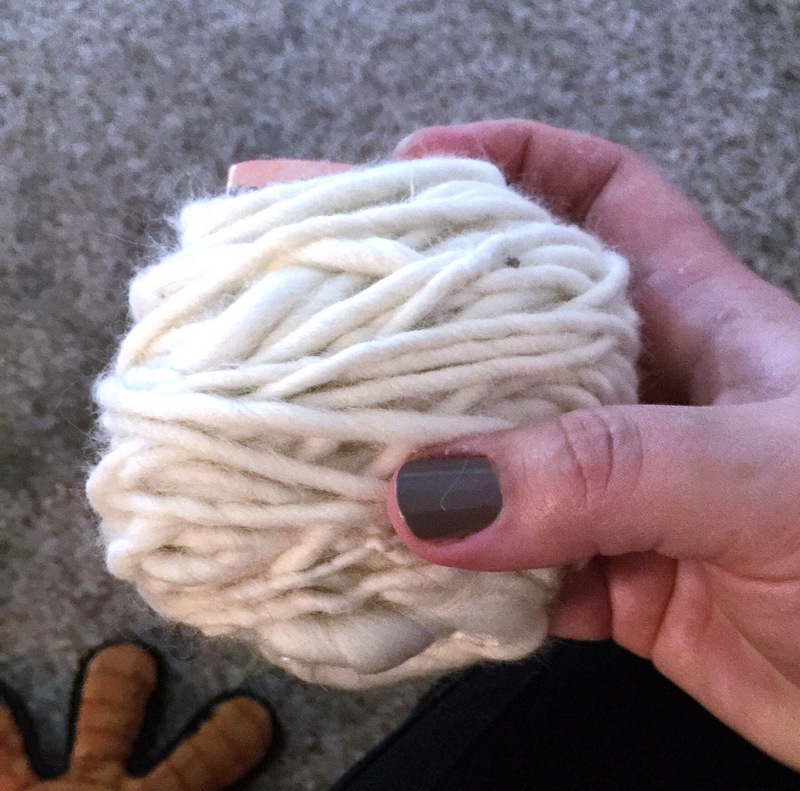 I adore this yarn and can’t say enough great things about it! I often find wool scratchy, and yak down is just delicious without any scratchiness at all. The Big Beanie Bag also included a printed pattern for striped fingerless mitts, three Bar Maids samples (Lo-Lo Cuticle Intensive, Lo-Lo Lip Balm, and Lo-Lo Body Bar), and a trial packet of Heel foot cream from the makers of Soak wash – all in a big drawstring bag perfect for toting around a small project. I chose the Neutrals color palette and the colors are great. They read bluer in the photo than they really are – three grays and a brown. I’m really pleased! And now, back to the second mitt. This weekend has been a fun one. Yesterday I took the family to Sheep and Wool Day at Springton Manor Farm, and what a treat! I had been to the Maryland Sheep and Wool Festival a few years ago, and while it is considered the sine qua non of sheep-and-wool events, I actually found it too crowded and chaotic. It was also quite large and sprawling, a difficult scale for me to navigate with a husband and three sons in tow – and just too much driving for a family day trip. So even though we’ve gone before, and even though that sort of thing should be my bag, baby, MDSW is just not. The Springton Manor Farm day, though – what a pleasant difference! There were plenty of things to see and do, all kinds of fiber arts and livestock and all of the things that make my heart happy, but on a smaller, more intimate and enjoyable, scale. 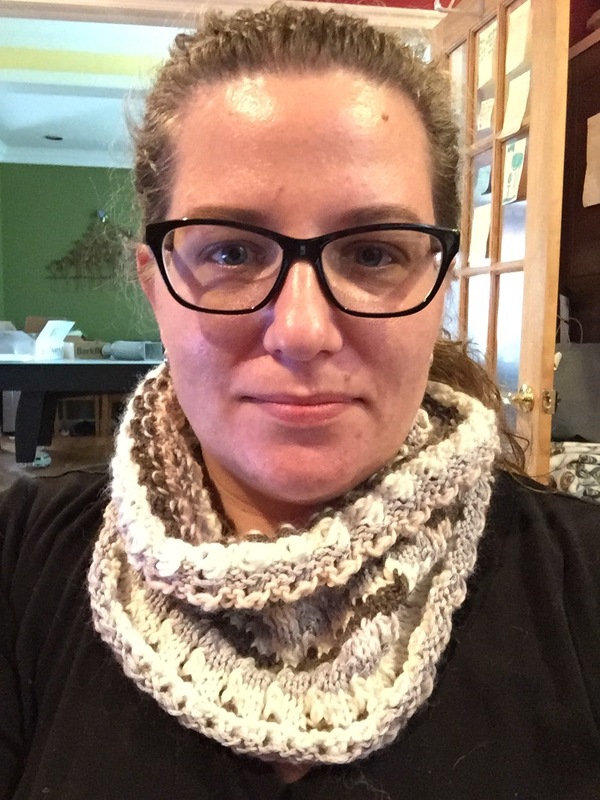 Much chunkier than I like to knit with, but I don’t think it’s too bad for a first attempt. 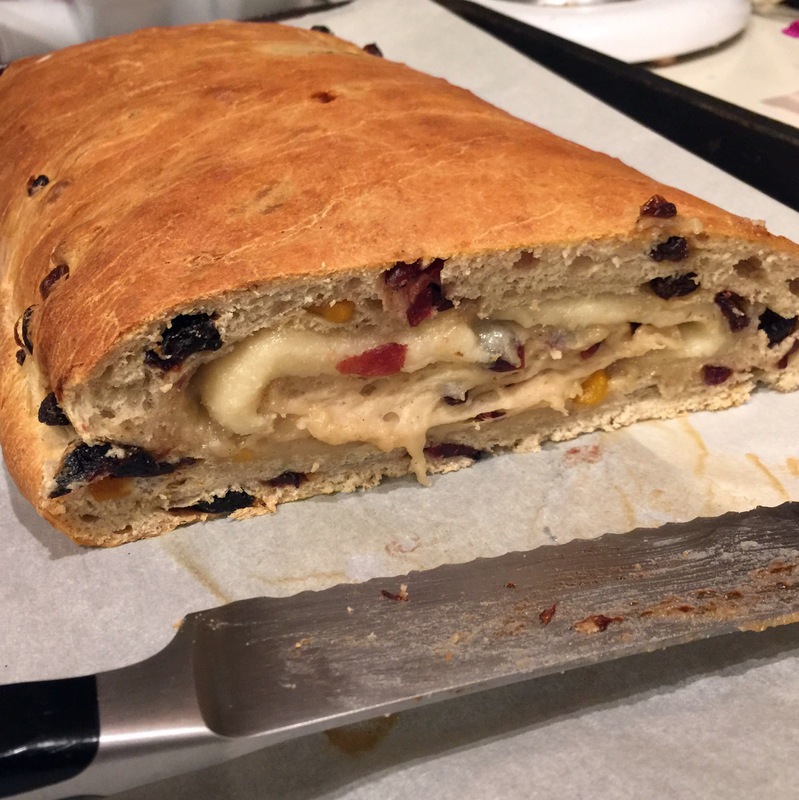 I make sourdough stollen using this recipe. I’ve been big into fermented/live foods and have been getting a kick out of using sourdough in almost everything baked. I use it in my weekly pizza dough, too!